MDF (Measurement Data Format) is a binary file format for measurement data that was developed by Vector in collaboration with Robert Bosch GmbH in 1991. After the MDF format quickly emerged as the de facto standard in the automotive industry, the revised Version 4.0 was ultimately published as an official ASAM standard in 2009. The format was last updated as ASAM MDF 4.1 in 2012. Vector played a crucial role in shaping the MDF standard both during its original development and over many years of maintenance and further development into an ASAM standard. All of the experience gained in the process as well as special automotive expertise leave its mark in the comprehensive MDF support of products. Many Vector tools store the data they acquire in MDF by default. Many other providers also now support MDF or store their measurement data as MDF files. Vector supports this trend by open disclosure of the format (MDF specifications version 3.3). MDF 4.x has been the ASAM standard since 2009 and is available to members on the ASAM website. Support of the ASAM measurement data format MDF 4.x allows files of any size (264 bytes) to be written. MDF 4.x allows the writing of already sorted measurement files. This eliminates the time-consuming sorting of very large measurement files at the end of a measurement or when the file is first opened. Starting from MDF 4.1, it is now possible to store raw messages for the established bus systems (CAN, LIN, FlexRay, Automotive Ethernet) and classification results in MDF files in a manner that conforms to the standard. Besides the bus messages, the signals being transmitted therein can also be stored so that both signal-based and message-oriented evaluation is possible with just a single file. The optional compression of payload data starting from MDF 4.1 allows further reduction of the file size. An important factor contributing to the success of MDF is its ability to store measurement data very efficiently, i.e., memory space-saving and fast storage. Moreover, the read access to data in the file can also be optimized. To do so, the file must, if necessary, be "sorted" once (for example, when opening it for the first time). This enables indexed and thus faster access to the data. Starting from MDF 4.0, MDF files can also be written as sorted files without any appreciable loss of performance. MDF contains both the raw measurement data acquired during a measurement and metadata necessary for interpreting the raw data. This includes, for example, information for converting the raw data into physical values, or the ASAM-compliant signal name. The available data fields in MDF are specially oriented to the requirements of the automotive industry. Thanks to available data fields in the MDF file, you can also store your own comments and even binary data. You will find details on this in the specification. Compatibility was a constant focus when expanding the specification. As a result, you continue to evaluate older MDF files with current tools. This compatibility along with the stability of the format has contributed to the widespread use of the MDF format. MDF4 Lib is a powerful function library you can use to write, validate, and sort MDF files and read them into your own applications. Besides the widely used MDF3 format, the new ASAM standard MDF4 format is also supported. 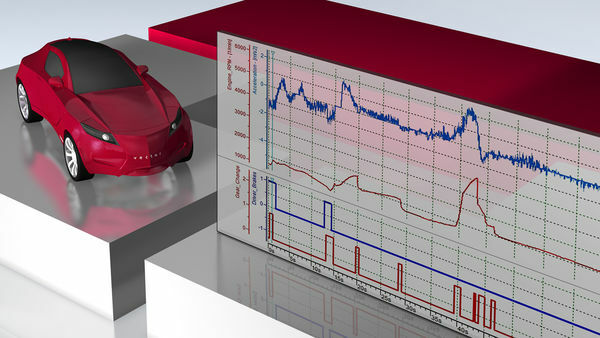 The CANoe and CANalyzer analysis and testing tools support both signal-oriented and message-oriented recording of measurement data in MDF format. The configuration software of the GL1000 / GL2000 / GL3000 / GL4000 / GL5350, and CANlog data loggers converts log files to the MDF format. The free MDF ShellExtension extends your Windows Explorer to display measurement data-specific information, e.g. MDF project, MDF name, etc. If you want to implement MDF in your own software, Vector supports you with the free MDF Validator tool. You use this tool to check whether an MDF file (up to Version 4.1) conforms to the specification such that it can be read in with Vector tools.